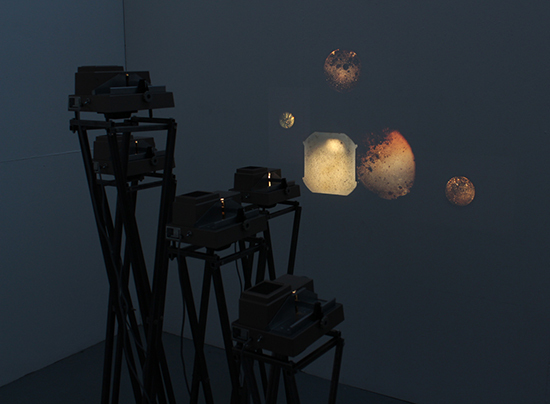 An installation work for five identical 35mm slide projectors. Four of the five project a slide which was shot directly into the projector bulb, its lenses and reflectors re-arranged to filter the light and create an illusory image. The fifth is re-focused to project the imperfections in its own internal glass. The work takes its name from that given to the machine by its manufacturer.